Public health works to protect the health of entire populations, ranging from local neighborhoods to entire countries and regions of the world. Public health professionals work in multidisciplinary teams to identify root causes of health problems and to develop solutions to improve access to health care and reduce inequities. St. Ambrose University is pleased to offer this online degree due to its established success in delivering a range of accredited undergraduate and graduate health and human services programs as well as its emphasis on inter-professional education, social justice, and person-centered service. Scholarships available for Spring entry! The SAU public health program emphasizes health equity which reinforces St. Ambrose University's mission of social justice and service. More specifically, SAU students will build their skills in epidemiology, research, and applying evidenced-based interventions to solve global/national/regional/state/community public health issues. Why get my MPH at St. Ambrose? 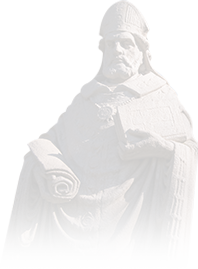 St. Ambrose University leads the way with top-notch graduate and undergraduate healthcare programs that focus on health equity, inter-professional education, and person-centered service, of which the latest addition is an online Master of Public Health program. Additionally, the Quad Cities area affords many opportunities for off-campus experiences. These include the public health departments in Rock Island as well as Scott County, the Mississippi Valley Blood Center, the Community Health Care Center, and the American Red Cross. Having the MPH housed within the College of Health and Human Services reinforces the continued global focus of the College, which prioritizes excellence in teaching, scholarship, practice, and also increases the options for study abroad opportunities that align with other programs such as the Master of Speech-Language Pathology program. St. Ambrose University is proud of the high quality of faculty and staff who take on their role not only as educators, but also as mentors. They're with you every step of the way, guiding you through coursework, research, and practicum. What is my career outlook with an MPH degree? Public health is one of the fastest growing academic majors in the United States, and career opportunities in this field are expected to grow substantially in the near future. According to the Bureau of Labor Statistics (2012), public health is a rapidly growing field and will increase its workforce by more than 21 percent. According to the Educational Advisory Board market study, job postings revealed a 31 percent increase in national demand and a 12 percent increase in regional demand (defined as Iowa, Illinois, Wisconsin, Minnesota, Missouri, Nebraska, and South Dakota). Specifically for Iowa, the U.S. Department of Labor projects steady job growth for public health professions between 2012-2022. Graduates with a public health degree work with individuals and communities to enhance health by identifying health threats and needs as well as resources to meet those needs. Public health professionals also advocate for and develop policies to address health inequity and increase access to health care for all. As a leader in healthcare education and proponent of social justice, SAU offers this graduate degree to help solve healthcare inequities locally and abroad. 6) Demonstrate communication and collaboration in inter professional community partnerships. You will take courses covering the broad spectrum of public health which includes quantitative and qualitative research methodologies; quality, management, and outcomes in health systems; health policy, law, and ethics; and translational and community-engagement strategies. Students will meet regularly with their advisor on a jointly agreed to schedule. The full-time option will require students to take classes during the first 18 months – inclusive of approximately 200 hours of applied practice experience throughout the country – under the supervision of public health and other specialists in selected practice areas. In addition, students will complete elective courses, internships, and a capstone project. The Master of Public Health program has rolling admission, which means you may submit your application at any time throughout the year. What should be included in my Letters of Reference? These letters should illustrate your capabilities, qualities, and characteristics that speak to your ability to be successful in this program. They can be written by either academic (i.e. a professor) or professional (i.e. a supervisor) sources. What should I include/not include in my Personal Statement? This one-page statement should address how your personal or academic background and experiences will bring a unique perspective to the program and contribute to a diverse and inclusive student community. I have attended multiple institutions including post-bachelor program(s). Do I need to include these transcripts? If so, where do I send them? Submit any transcripts that reflect a bachelor's programs or higher to your admissions representative, Rochelle Bass. I want to pursue a part-time plan of study. Where do I find a plan that details attending the program part-time? 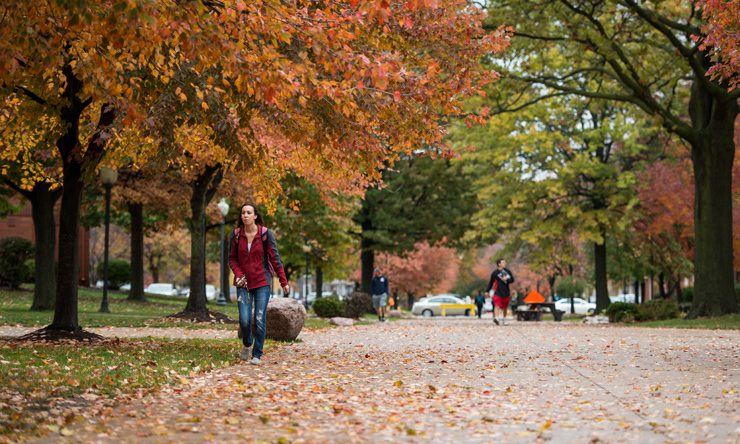 See the "Part-Time and Full-Time Degree Options" above or email the admissions advisor for information. Who do I talk to about financial aid? Speak with admissions representative Rochelle Bass. There are several ways to help pay for graduate school. You can see complete information about graduate scholarships, loans, and grants on the graduate admissions page under the heading Graduate Financial Aid. Campus housing is available for students enrolled in a graduate program at SAU on an annual, semester, and month-to-month basis. The Master of Public Health program (MPH) is a 43 credit hour, online curriculum sequence with an applied practicum (approximately 200 hours) and integrated learning experience. It is the only graduate public health program offered by a private, comprehensive university in Iowa. You will be able to complete the program in 1.5 years as a full-time student or 33 months as a part-time student. 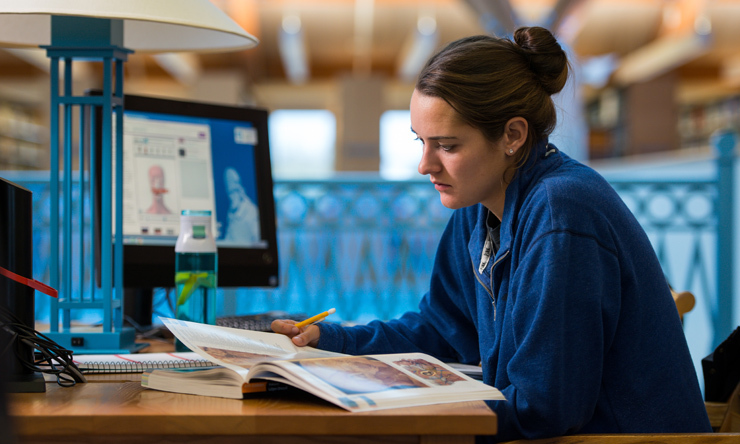 In addition to being a proven leader in healthcare studies, St. Ambrose University also offers flexibility with our part- and full-time degree options for the MPH. By enrolling full-time, you will earn your degree in 1 ½ years. An outline of courses you will take is below. By enrolling part-time, you can complete your MPH degree in three years. The dual master's degree program incorporates competencies of public health and social work education and practice to provide an epidemiologic/populations-based approach to preventing, addressing, and solving social health problems. This dual degree trains students in population-based prevention and multi-level intervention. Additionally, students gain practical experience in inter-professional practice, cultural competency, social justice, empowerment, leadership and management, research and evaluation, and policy development. Dual degrees lower the total cost of both degrees (when taken separately) and articulates an intentional path for social workers wanting to explore the practice of public health. Together, these two degrees elevate social work's strengths in cultural and community responsiveness, empowerment, inter-professional teamwork, and care coordination through public health's strategic and epidemiological approach to caring for the underserved and most vulnerable. Students typically enter the dual degree via the MSW Program then apply to the MPH program in their first year of MSW studies. Staggering application meets admissions standards for both programs and multiple decision points for students. Please see the MPH or MSW director if you wish to begin with the MPH. Take the next step toward earning your Master of Public Health degree by applying today!